Nationwide Crane Training in Reno, Nevada can help you tap into an exploding job market! 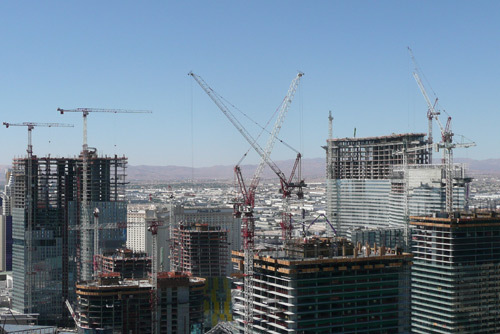 The incredible construction boom in Nevada is creating amazing opportunities for motivated men and women looking to secure solid futures and financial stability. But crane training classes in Reno, Nevada can up the ante and give those individuals the skills they need to make even more money. With Nationwide Crane Training’s experienced instructors and industry-leading course material you’ll be a certified crane operator in no time. 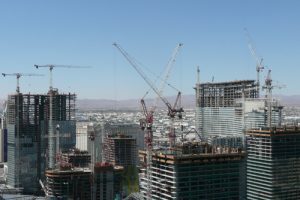 Nevada’s ongoing construction boom has created what news outlets and industry insiders are calling a “desperate need” for experienced construction workers. Estimates from construction industry analysts show that another 20,000 workers are needed today just to keep up with the current demand, let alone keep pace with future growth. And, lucky for you, there’s an even more desperate need for skilled crane operators. These in-demand experts help set the pace of progress in Nevada. Many construction and transportation companies are willing to pay top dollar to have experienced and certified crane operators on their team. Official Bureau of Labor statistics show that an experienced crane operator in Reno, Nevada can earn an average hourly wage $33.70. Not only is that almost $10 per hour higher than the national average, it adds up to over $70,000 per year! What could you do with that extra $20,000? But that money won’t just fall into your lap. You have to earn the skills and certification it takes to qualify for that job. That’s where Nationwide Crane Training classes in Reno, Nevada can help. And our commitment to your success goes one step further. We have the highest pass rates of any crane training agency in the industry. In fact, we guarantee that every one of our trainees will pass their written exam. Are you ready to take advantage of a golden opportunity? Call NCT today at 877-NCT-CRANE or 877-628-2726 for crane training classes in Reno, Nevada. Nationwide Crane Training also offers NCCCO Certified Rigging and Signalperson (levels 1 and 2) as well as OSHA “Qualified” Rigging and Signalperson training in a 2-Day class! Nationwide Crane Training offers various classes for all experience levels. Operators who have already been trained and have experience behind the controls can earn NCCCO certification. Novices –people looking for a career change and want the higher earning potential and job security that comes with having “certified crane operator” on their résumé are also welcome. Of course, the “seat time” and training will be longer for novice individuals, but NCT offers the same expert instructors, one-on-one interaction, state-of-the-art computer simulations, and hands-on training to every student, regardless of their experience level. Get your certificate and get back to work in a week – not three weeks like other Nevada crane training schools! We work with individuals, large employers with dozens of operators, and everyone in between to provide some of the best and most cost effective crane training in Reno, Nevada. There are some criteria that must be met and followed in order for a candidate to obtain and keep NCCCO certification. The candidate must be at least 18 years old. They must meet medical requirements. They must strictly follow NCCCO substance abuse and ethics policies. Nationwide Crane Training offers one third-party credential (National Commission for the Certification of Crane Operators, or NCCCO). Up-to-date curriculum content in-line with changing rulings and regulations. Instruction follows a standardized set of teaching guidelines so yours skill apply everywhere. Training is delivered and testing administered consistently with uniformity so everyone is on an even playing field. The NCCCO was created January 1995. It began as a non-profit organization charged with developing effective and uniform performance standards for safe crane operation nationwide for both “general industry” and “construction.” The NCCCO’s thorough, independent assessments of an operator’s existing knowledge and operation (or practical) skills are designed to elevate lifting equipment safety. This, in effect, reduces workplace risks, improves individual performance, encourages ongoing training, and gives operators the recognition they deserve for achieving a professional level of crane operation skills. The NCCCO was established after nearly a decade of continuous work by multiple representatives across multiple involved industries. The NCCCO and its training and certification program was developed by those in the industry not as a way to regulate but as a way to identify, improve, and promote excellence within the crane operation industry. OSHA has recently revamped a 1971 standard that applies to crane operation. The new ruling below has altered the way operators must be certified if they’re considered to be working in the construction industry. This final ruling applies to all crane operators working with machinery with load limits of 2,000 pounds or more. Below is a general breakdown of the important changes. Non-government and non-military employers must ensure that equipment covered by subpart CC is only operated by an individual who is either in an appropriate training period (as defined by 1926.1427) or is qualified or certified to operate the equipment in accordance with the final rule. Generally, for crane operators involved in construction this means they must be certified by an accredited crane operator testing organization. Additionally, whenever operator qualification or certification is required, the employer must provide the qualification or certification at no cost to operators. This ruling also applies to service truck mounted crane operators considered to be working in construction. OSHA stakeholders did vote in 2013 to extend the final deadline for this new standard to 2017, which is still not made official. However, this extension is not applicable to states or municipalities that have stricter guidelines. California’s CAL-OSHA, for example has new rules on the books (Title 8 of the California Code of Regulations, Section 1618.1) that pertain to crane operator certification which will go into full effect on July 7th, 2015. You can find the entirety of OSHA crf29 1926.1427 here. Nationwide Crane Training is a WBENC-Certified woman-owned business that retains some of the best instructors in the industry. Our instructors are NCCCO accredited practical examiners who bring experience from a variety of careers including Military, Firefighting, FEMA, IUOE Union, CALOSHA and FEDOSHA. Bringing in the best instructors is one of the ways we demonstrate our commitment to each client. In fact, we are so committed to your success that we GUARANTEE you will pass the written exams (please see our disclaimer). Our crane operator classes can supply the level of expertise, support and personal care you need to get certified. We believe that each student is unique and we work closely with each to be sure not only that you pass the exams but that you develop the necessary skills to excel in this competitive profession. It is our commitment to quality training and each student that has earned us a respected reputation in the crane industry. Companies have been sending operators to NCT certification training classes for years to increase productivity, avoid costly citations, and decrease or eliminate work stoppages and on-the-job accidents. But Nationwide Crane Training is also a wonderful resource for independent operators who want to earn certification to make themselves more employable. Expert trainers (with decades of experience themselves), mobile classes, and evening courses ensure operators get the best training possible in a timely fashion that fits their busy schedules.